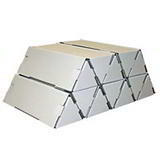 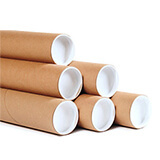 We have a massive choice of cardboard postal tubes for mailing documents, posters and maps available in all shapes and sizes straight from stock. 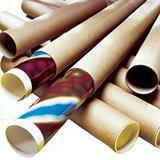 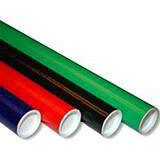 Postal tubes are a great way of keeping paper goods free from creases when they need to be mailed; all come complete with plastic end caps, and if you place your order before 3pm on a working day, we’ll dispatch your tubes that same afternoon! 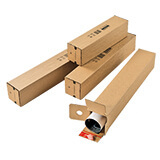 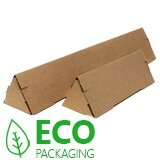 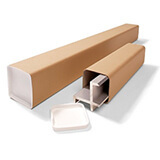 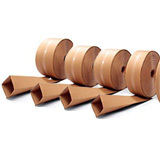 Don’t forget when deciding which length cardboard postal tubes to order that you should always allow for the end caps, which insert 15mm into the tube at each end. 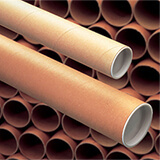 Tubes are also covered by the new regulations for Royal Mail pricing – to count as a small parcel, a cylindrical tube should be no longer than 450mm with a diameter no greater than 80mm (the diameters we give are internal – to get an external diameter, just add the internal measurement to twice the thickness of the board).